Today I used my leftovers two ways: Thanksgiving hash for breakfast, and curry cauliflower and turkey soup for dinner. 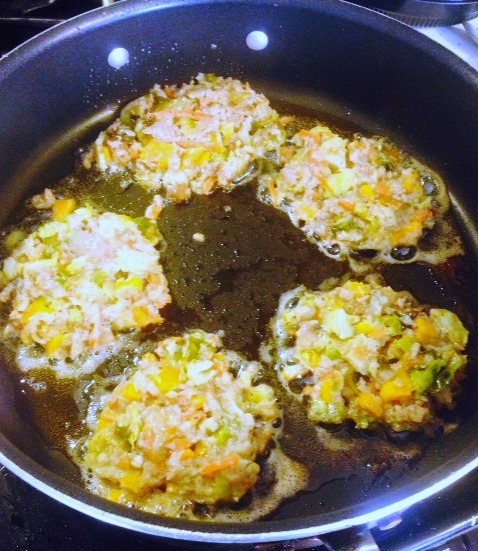 First, for breakfast, I took some leftover cauli-rice/mushroom stuffing and mixed it with a handful of diced leftover Brussels sprouts, a handful of diced leftover butternut squash and an egg, and fried up little patties of hash. I thought this was delicious, but the kids were not fans. That’s okay, I love hash with leftover Brussels sprouts, and I will definitely have this again whenever I have the right kind of leftovers to do it. For dinner tonight, I decided to use up some of my leftover turkey. We had a huge turkey, because I wanted a lot of leftovers, but we didn’t get as much as I thought we would. 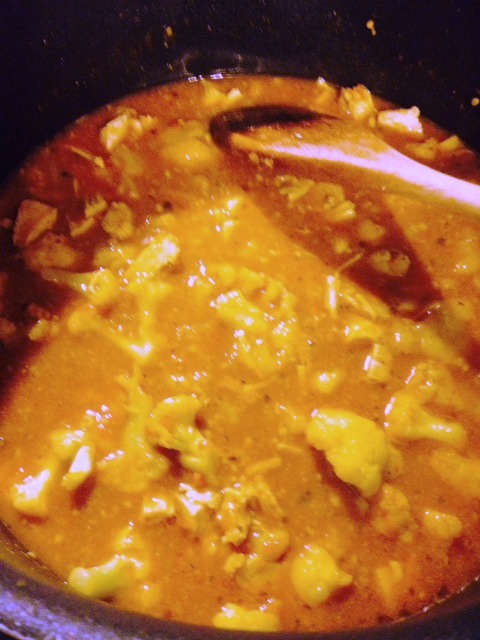 This Curry Cauliflower Turkey Stew used up most of what we had left today. It was really good, in my opinion, and my son agreed, even though he is not generally a cauliflower fan. My daughter thought it was too spicy, though. We still have a fair amount of leftovers, but I am feeling good about making a dent in them. Does anyone else have any creative ways to use up the leftovers and still enjoy them?